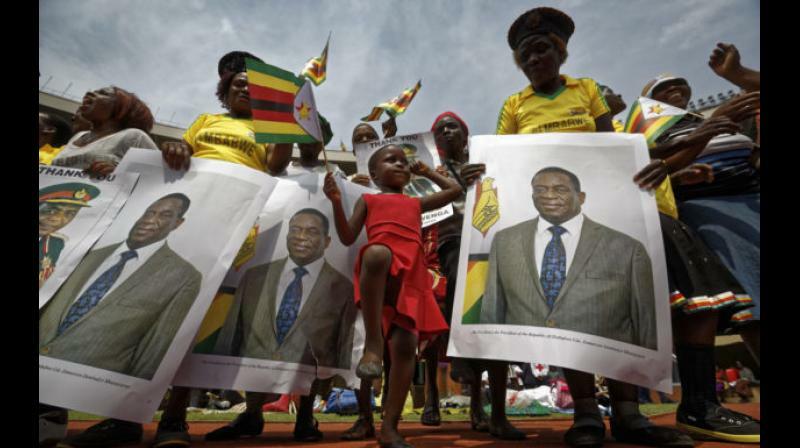 President Emmerson Mnangagwa also vows that “all foreign investment will be safe in Zimbabwe,” addressing fears after moves by former leader Robert Mugabe to nationalize the country’s lucrative resources such as diamonds. Mnangagwa inherits a southern African nation that once was prosperous but now struggles amid a severe cash shortage and high unemployment. Mnangagwa has now completed his speech to the nation. Some international leaders are urging Zimbabwe’s new president to deliver on his promises of inclusiveness, economic reform and free and fair elections.